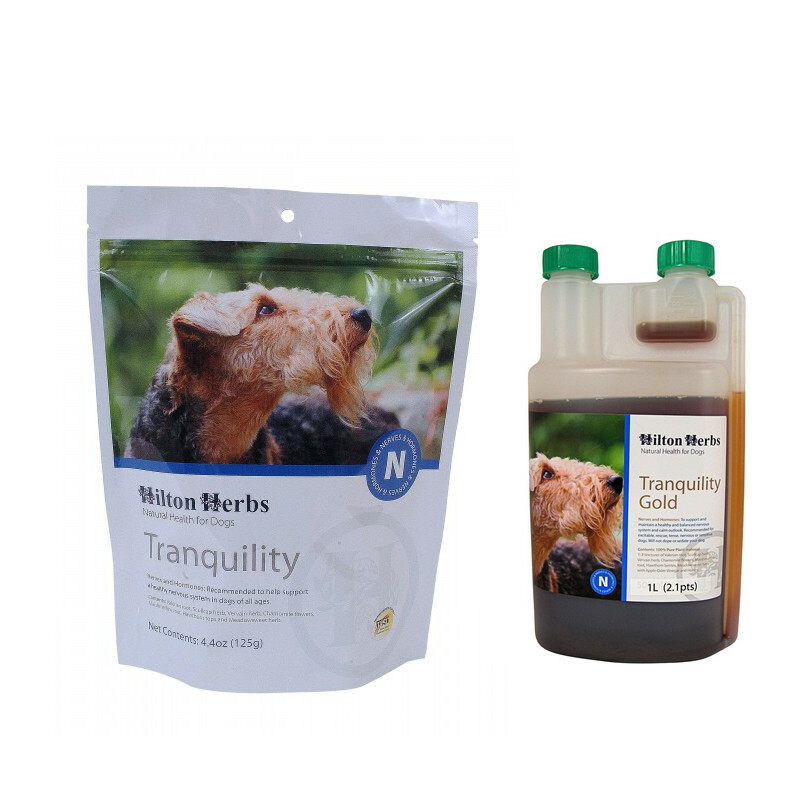 Hilton Herbs Canine Tranquility is a herbal calmer that helps maintain a healthy nervous system and calm outlook without sedating or doping your dog. It is recommended for nervous and tense, over excitable dogs and dogs that have received bad treatment. It is available in both a powder or liquid form. Valerian root, Lemon Balm herb, Scullcap herb, Chamomile flowers, Hawthorn tops, Marshmallow root and Apple Cider Vinegar with Honey. Valerian root, Lemon Balm herb (Vervain), Scullcap herb, Chamomile flowers, Hawthorn tops, Marshmallow root, Meadowsweet herb. Add to feed on a daily basis and divide required amount between two meals where possible for best results. There are currently no questions for Hilton Herbs Canine Tranquility - be the first to ask one!